I just wanted to share a quick video I took this morning of City Center from a Panorama Tower Unit across the highway. If you’d like more information about City Center click HERE, or if you’d like to learn more about Panorama Towers click here. This Picture shows the current progress of Vdara, a condo hotel in City Center. You can also see a separate high rise building in between the two buildings, called The Cosmopolitan. On the far right is the City Center Casino. 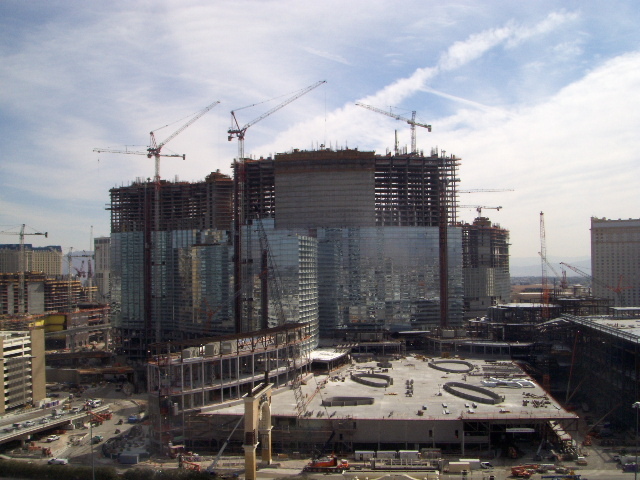 The Massive City Center Casino’s progress as of March 20, 2008. Just to the right of the casino is The Residences at the Mandarin Oriental.